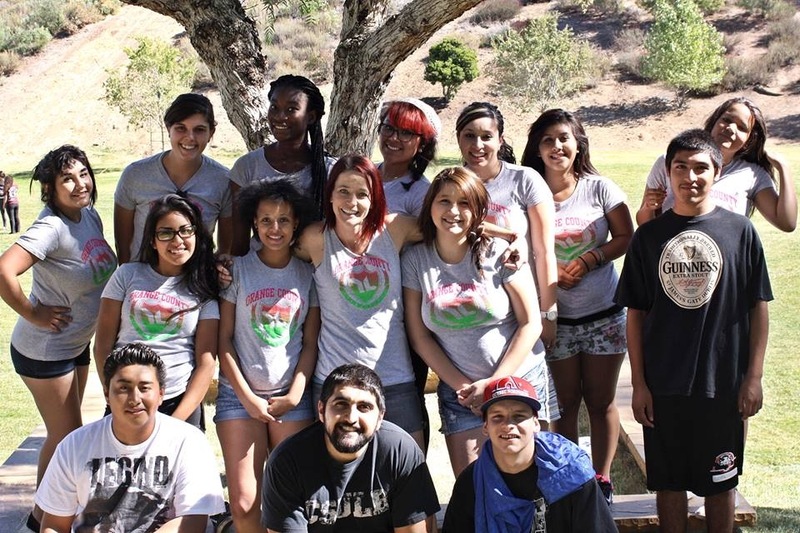 I hope I can express to you how important YoungLives North OC is to our community and how it has impacted my own life. 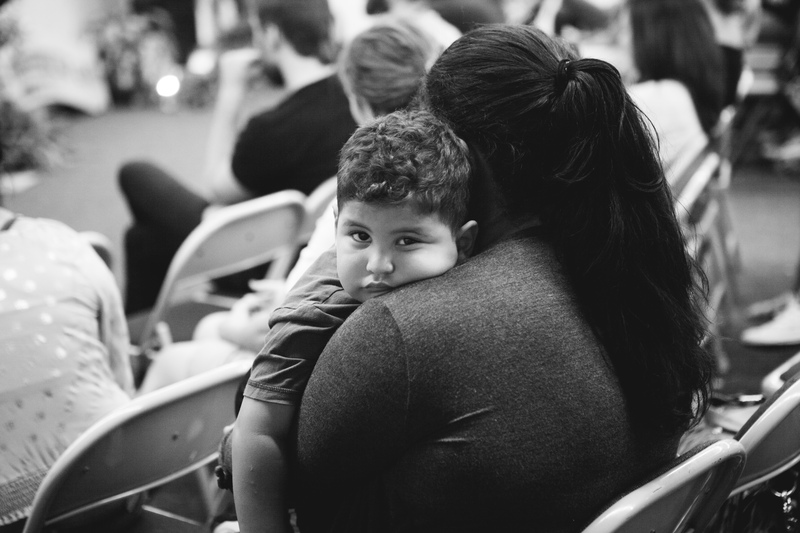 I encourage you to read through the other blog posts and see how this ministry has impacted the lives of these teen parents, other volunteers and supporters. When I first heard about this ministry I had been praying for a number of years with a close friendabout where God wanted us to be serving. We were both serving in church but felt that we wanted to be a part of something outside the “church walls” sharing the gospel in our own community. The amazing part of this story is that we were attending different churches at the time and yet within the same week we were both approached by different people explaining the ministry. Without each knowing it, we agreed to be involved and then told each other about it. We were both so excited about this ministry and knew that it was an answer to our prayers, God ordained and in His perfect timing. This is my third year serving at YoungLives, and my families second year. We love that there are opportunities in this ministry for our whole family to be involved in serving others. During these last three years I have been so blessed by seeing many of these sweet young moms and dads grow into confident godly men and woman. This ministry not only supports these families with their physical needs, it also speaks to their spiritual need as well. 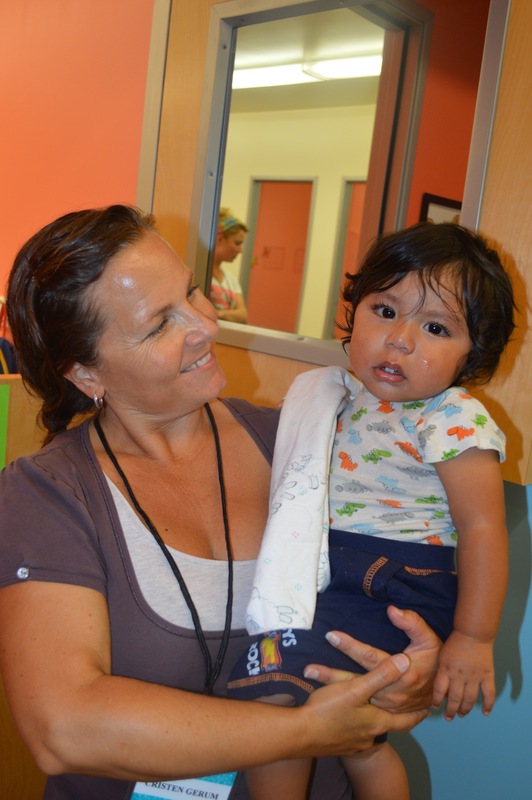 There are a number of great programs out there that help single parents. But in my opinion, none compare to the truly LIFE changing impact that YoungLives North OC brings. My desire and prayer is to continue and grow in this ministry for as long as the Lord leads. I am honored to be a part of something so fundamental to our community and culture, truly changing lives in these last days, and thank the Lord for His provision and answered prayer. My name is Cheridan Coffin. I’m a mother to an amazing 7 month old, little boy named John William. I first got involved with YoungLives through my friend Amber. I was pregnant and she told me about this amazing group for moms who meet up once a month. This began my journey towards finding God. My first night meeting everyone was a bowling night. 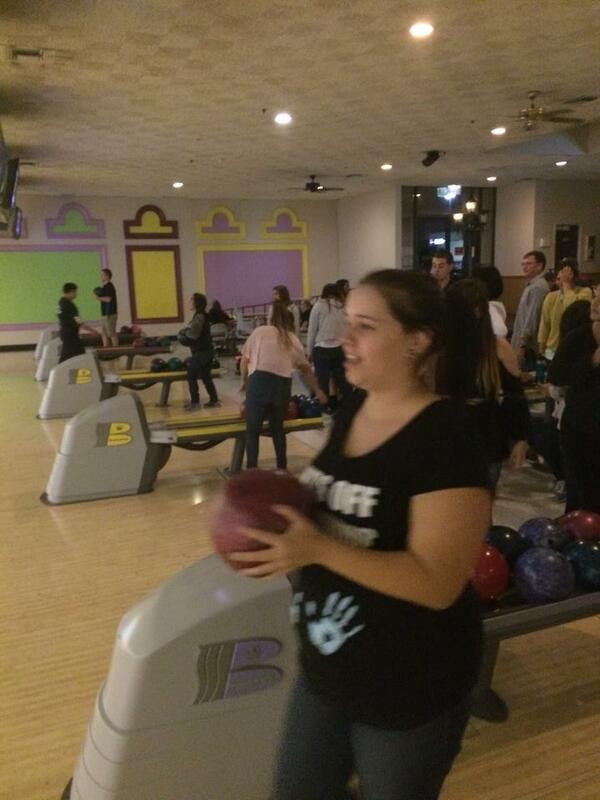 I was about 5 months pregnant trying to bowl and meet everyone. I remember being so nervous, but when Myrna picked me up she helped me feel better. In July I went to camp, in Arizona, with YoungLives. There was one night there that impacted me the most. It was our last night at camp. The speaker told us to go outside and pick a spot to ourselves away from everyone else. He told us to be silent on the way out and to just go and pick a spot. We were suppose to sit and it was like alone time with God. Some people went and were silent the whole time and others went out there and cried. I went out there and apologized to God for everything I’ve done and for everything I didn’t do. That night I had decided to give my life to Him. We all went back to our groups and cried. Cheridan and John at camp! About two weeks ago we had church service at the beach. I had no extra clothes and didn’t plan for anything, but something was calling me out to the water to get baptized. I walked out there with the same girl who introduced me to YoungLives and we got baptized together. Things have been hard for me lately and I have felt so alone, but i decided to let go and let God take control. I knew at that moment that I needed his help to guide me through the tough times and that eventually everything will get better. Before I was involved in YoungLives I felt alone and thought I could do everything on my own. Through this amazing group I have gotten the help and support I need. I have an amazing mentor who is always there when I have questions and need help. This group is full of amazing moms who have incredible stories and i’m glad to have had a chance to get to know everyone. My name is Samantha B. Harris. I have an amazing boyfriend named Marvin Plascensia. Together we have a healthy, handsome son named Damian M. Plascensia. Me and Marvin are 19, Damian is 2 and he was born when we were 16 years old. When I found out that I was pregnant it was definitely a shock. I wasn’t on a good path in life. I was the kid parents didn’t want their children to be friends with. I was a very selfish person who didn’t care about family, school, or pretty much anything. The only care I had was having fun all of the time. And the “fun” things that I was doing were getting me in trouble and risking a lot. However, when I saw the ultrasound of the little baby growing inside of me I was immediately motivated to make some big changes in my life. 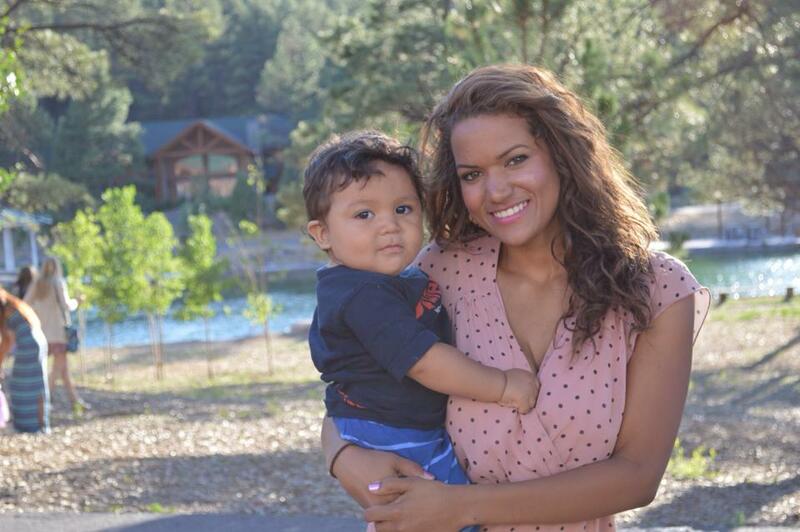 I knew that I wanted to give birth and that I would do whatever it would take to give my child a great life. At the time I was attending a high school that didn’t support teen pregnancy. When I told the nurse the news, she gave me lots of different options of schools to go to. I decided to go to Valley Vista because they had a Mother’s class and also a free daycare for the babies so that the teen moms could go to school. I am so happy that I chose to go there because I met Myrna there. 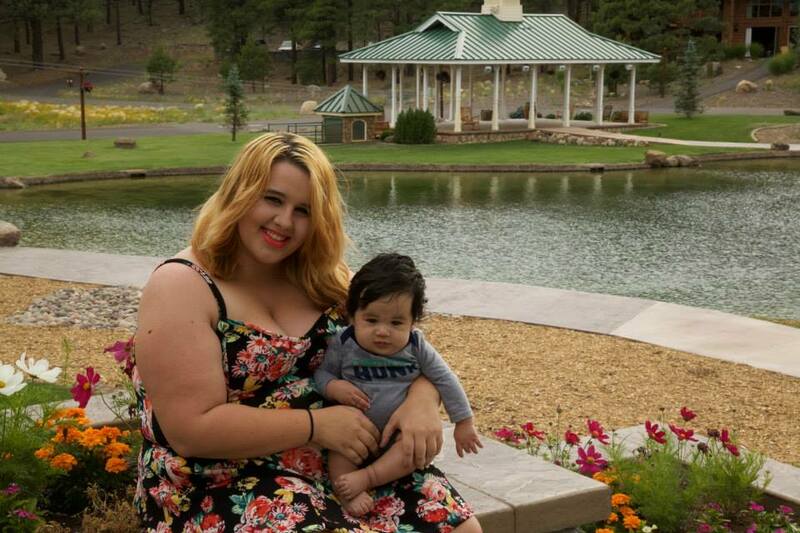 She was volunteering once a week to tutor the teen moms. She would always hand out fliers about YoungLives club. At the time I had no interest to go, but some of the girls told me it was really fun and that they were going to be there. So I finally decided to go and they were right. I remember the first time I went I was a little shy because I had a big belly and I thought people would judge me. When I showed up it was the total opposite. There were a lot of teen moms that had babies and that were pregnant. I finally had a place to go where genuinely humble, sweet people LOVED me. They didn’t think of me as a sad story or charity, they actually accepted me and wanted to get to know me. I didn’t realize until the end of club that all of these great people were followers of God and many of them attended a church called Rock Harbor. After a couple months of going to club I invited Marvin. I wanted him to meet all of these wonderful people and also have a place to go with other teen dads and talk to them also. When Myrna saw us both there she invited us to come to Rock Harbor with her and her husband, Yousef. I didn’t want to go because I was still pregnant and for some reason, I didn’t feel right going in a church. I was unmarried, pregnant, AND a teenager. I didn’t have the courage. Although I grew up in a Christian family and I always went to church. I loved Sunday school and donuts and community. But those were the days when I was small. I didn’t understand life yet. I didn’t have problems or struggles. Once I gave birth to my son I felt comfortable to go to church and I am so happy that I started going again. Honestly, being a part of a community like YoungLives has really changed my life. I went to a couple different camps with Marvin and Damian and they were so amazing. I asked God for forgiveness and accepted him into my heart. After a couple years in my journey of following the Lord I feel like I have really grown in spirit. 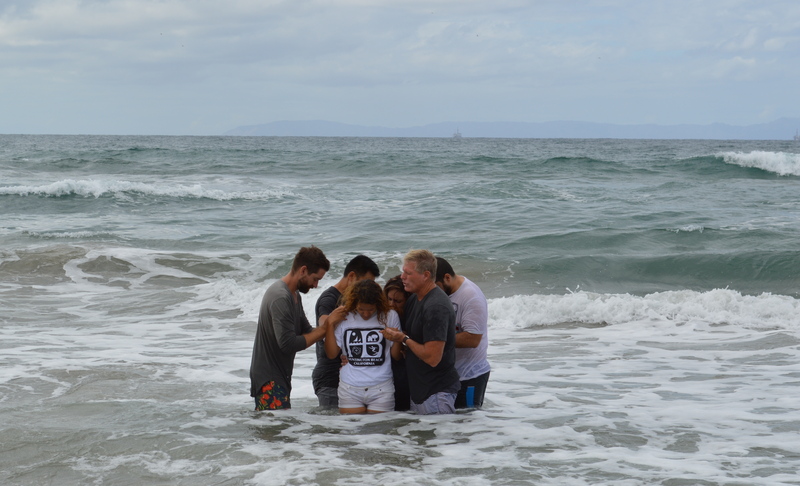 I recently got baptized in the ocean and it was the best day of my life! My parents came and they were so proud of me. My Mother and Father have also been by my side this whole journey. I am so blessed to Have Myrna, Yousef, my Mentor Samantha, and also all the volunteers that are apart of YoungLives in my life. They have supported me since day one and never gave up on me no matter what the situation in either of our lives. Today, I am in a very good path. So is Marvin, We both have jobs to provide for our family. We are very patient, loving parents to our son Damian. I really enjoy going to church every week to learn more about the Word of God and also to see my YoungLives family. My goal is to maybe be a leader one day, because my leaders had a very strong impact in my life. I definitely feel that I could have impact on another girl who was on the same path as me. I have come so far and changed my life around drastically. Our family has been volunteering with YoungLives for two years. 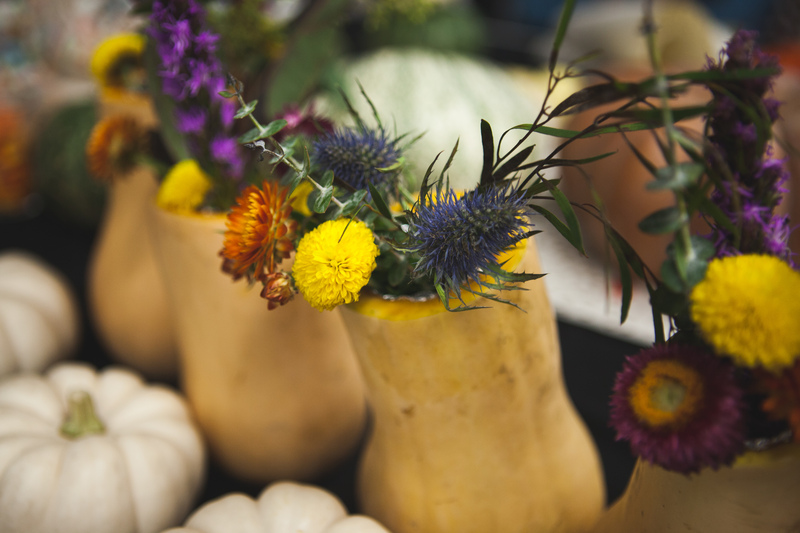 We had the opportunity to attend the first annual fund-raising banquet last weekend. I invited my parents to attend with us to hear more about this ministry that we are so passionate about. Here’s what my mom had to say about it. “We knew of the integrity and productive ministry of the parent organization, Young Life, but were not familiar with this arm of the ministry. We only knew it was an outreach to single teen moms. We went to the banquet anticipating hearing and expenses, budgets, and needs for funds. We did not expect that our hearts would be strongly impacted and touched by what we saw and heard at the dinner. Instead of facts and figures, we heard the testimonies of many young girls and the changes brought about in their lives as a result of their involvement with Young Lives. We were moved and excited as they shared stories of their transformation from gang life, drugs, and going-nowhere lives to graduating from high school, going on to college or trade school, getting jobs, and centering their lives around becoming good moms to their babies. They shared stories of hope of becoming people who live with purpose. The changes came about through the love and sacrifice of Young Lives Staff and volunteers. These people shared the good News of Jesus with the moms, mentored and tutored them, and provided wholesome, fun activities for them. These moms were invited to attend a local church where they and their babies have been surrounded with a community of supportive believers. Most of all the volunteers at Young Lives are loving them and believing in them. They now have hope for a better future for themselves and their children.